This page shows the latest The Partners news and features for those working in and with pharma, biotech and healthcare. 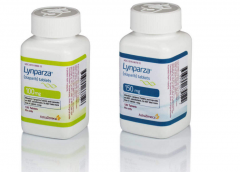 The randomised, open label trial produced median progression-free survival improvement of 2.8 months (7.0 months for Lynparza vs. ... The partners also recently declared a further collaboration with diagnostics specialist firm Myriad. The news has also hit Biogen’s share price, which has plunged by 25%. ... The partners have a similar candidate, BAN2401, being studied in prodromal and mild Alzheimer’s patients, though its future must now also be under review. entry into ophthalmology,” according to the company’s CEO Michel Vounatsos (pictured below). ... The two partners had been working together on an XLRP candidate but AGTC is now progressing that independently. Approximately 1 fully matching, plus 561 partially matching documents found. AC Immune and its partners are far from the only drug developers to target tau. ... By Nick Taylor, journalist specialising in the life sciences industry. 21st March 2019. Use the expertise of people who have worked with patients as partners before. ... patients are brought on board as partners; from sharing their insights to collaborating on solutions, the barriers are worth overcoming. Approximately 0 fully matching, plus 79 partially matching documents found. Richards joins the group from VCCP, where he held the role of international managing director. ... Richards will head the group’s partners’ board and will report into the group Chairman Ian Ferguson. and the role our members play in developing new innovative medicines and vaccines. ... experience, expertise and network in both industry and academia will enable the ABPI to work with our partners to further these objectives.”. Healthcare Analytics Provider of the Year - PA Consulting Group and Leeds Teaching Hospitals Trust. ... Recruitment Services Provider of the Year - Remedium Partners. Workforce Innovation Award - Doc Abode, Local Care Direct and Yorkshire and Humber AHSN. our partners – the pharmaceutical companies. ... Like my father, 700, 000 people a year in the US will underdose or overdose on medication.